The RSF-backed Prema driver started from the second row and circulated in fourth throughout behind race-leader Markus Pommer and title rivals Antonio Giovinazzi and Felix Rosenqvist. Once the German snatched the lead from pole-sitter Giovinazzi on the dash to the first corner, the mould was pretty much set. With the tight confines of the fast, sweeping circuit reducing overtaking opportunities to next to nil, the only realistic opportunities to pass were afforded by the restarts. But with Pommer mastering all three to perfection - short of human error or a mechanical breakdown - it was a case of maintaining position and banking the points for the trio behind. That left Motopark's Pommer to claim his maiden win in the championship at the end of the 19-lap affair which afforded just seven laps of actual racing. Carlin's Giovinazzi and Prema's Rosenqvist followed on to secure the remaining podium places leaving Prema duo Dennis and Lance Stroll to round out the top five. Second place for race one winner Giovinazzi moves the Italian back into the points lead. He now heads erstwhile leader Charles Leclerc - who ended a miserable weekend with 10th place - by 7.5 points. 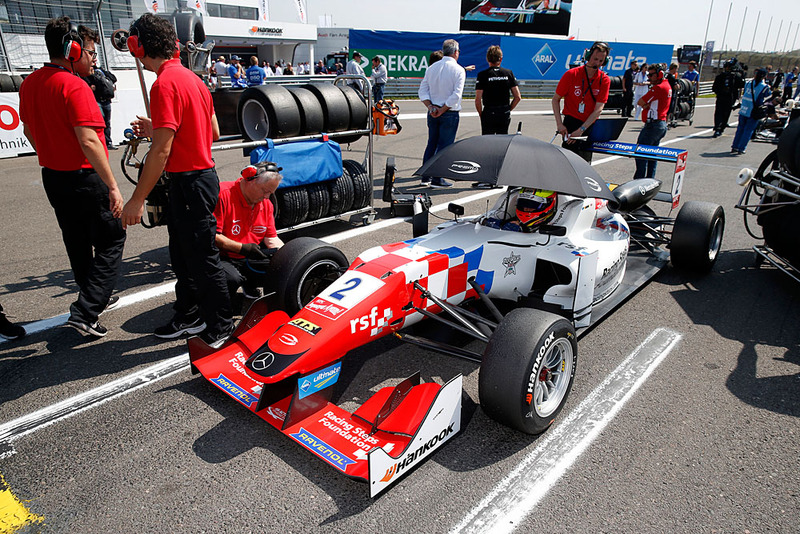 Rosenqvist and Dennis remain third and fourth in the standings.